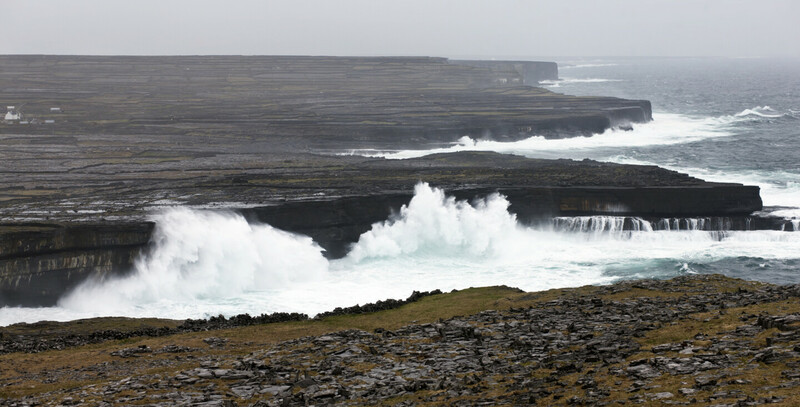 A day trip to the Aran Islands is a must, described as "One of the World’s Top Island Destinations" as per National Geographic, the rugged Aran Islands lie just outside Galway Bay and just miles from the Clare coast and the Cliffs of Moher on the West Coast of Ireland. They comprise three islands, Inis Oirr, Inis Meain and Inis Mor. They are reached by Ferry from Rossaveal just 26 km from us here at the Connemara Coast Hotel. You’ll find ancient forts, churches and monuments on all three islands, with different flor and fauna on each. This rugged beauty is a must for a day trip when staying at the Connemara Coast Hotel.